Trying to find a smart wifi thermostat that works with Alexa? Don’t worry we’ve got you covered and can help fill you in on what you need to know to choose the right smart thermostat. If you get a thermostat that “Works With Alexa” it will enable you to control your smart thermostat with your voice. With a compatible Amazon Alexa device and your voice you can turn on or off the heat or cooling, turn up or down the heating or cooling, or set the thermostat to energy saving mode. Once you have your smart thermostat connected to Alexa you’ll realize what a luxury it is to control your thermostat with your voice from the comfort of your own bed on a cold morning without even needing to get out from under the covers. Any smart thermostat that “Works With Alexa” will work with all Alexa enabled devices. Including the Echo Show, Echo Spot, Echo Dot, Echo Plus and Echo. Below I’ve ranked the top smart thermostats that work with Alexa. I personally have a Nest Generation 3 Thermostat installed in my house, however the Ecobee 4 does have Amazon Alexa built in which makes it buying one very compelling. You can’t go wrong with either the Nest Generation 3 or the Ecobee 4 both thermostats have very similar features, the Ecobee does have a slight edge in features with Amazon Alexa built in and a corresponding built in speaker and microphone so you can use your thermostat as an Alexa device. The Nest does have cleaner lines and I think an overall nicer design appeal than the Ecobee 4, as of october 2018 the nest thermostat now comes in 6 colors. If you are more design conscious I would go with the nest thermostat, if your more feature conscious I would choose the Ecobee 4. Either way you can’t go wrong with either of these thermostats and they are miles ahead of the other options listed. While I listed all 8 thermostats that work with Alexa you should really stick with the two #1 listed options of the Nest Gen 3 and Ecobee Gen 4 if you want to get the best user experience. The Ecobee 4 also comes with one remote temperature sensor to place throughout your home for remote temperature monitoring of any room. 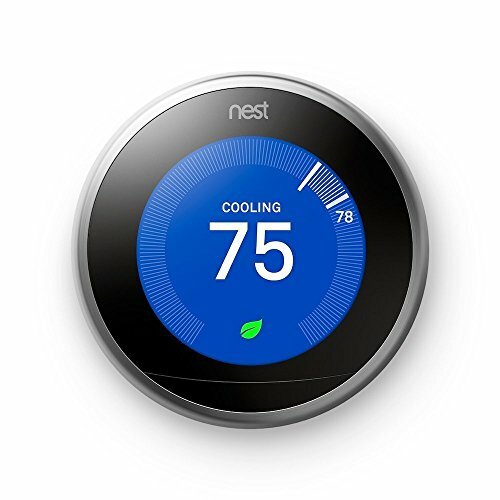 The nest thermostat has compatible temperature sensors but you must purchase them separately from the thermostat. Do you really need a thermostat that works with Alexa? Yes, in 2018 if you are replacing an existing thermostat you should upgrade to a smart thermostat that works with Alexa because it will make your life better, and add luxury to your home with smart voice control of your heating and cooling. When you walk into your house and your too cold you no longer need to go to the thermostat to turn up or down the heat you can just tell Alexa to do it. Adding a smart thermostat will help you save energy but also can boost your home value. Adding voice control will makes your house even more user friendly. If your building a new home a smart thermostat that works with Alexa is a must have. Over 70% of new home buyers say they want smart home technology and it is an expectation for most new home buyers that a smart thermostat will be installed. The use case I most often find for my smart thermostat connected to Amazon Alexa is when I am either going to sleep or waking up, I can set my prefered temperature without getting out of bed at night or before I get out of bed in the morning. It’s also great if your watching a movie and get to hot or too cold and you can adjust the thermostat without interrupting the movie. A smart thermostat with voice control can also help people live independently or live longer in their in their homes with disability. For a person with visual impairment, they no longer need to worry about being able to read the numbers on the smart thermostat you can just tell Alexa what temperature your nest thermostat should be set to. For a person with mobility issues getting around the house can be a challenge and with Amazon Alexa voice control of a smart thermostat there is no need to go up and down stairs to turn on or off the heat you can control your thermostat with just your voice. Amazon Alexa is built into many different smart home devices. But the main devices that have Amazon Alexa built in are the Amazon Echo Lineup of devices. Once you set up and connect your smart thermostat on either the nest or ecobee app you can then connect it to to Alexa by adding an Alexa Skill. Alexa Skills are apps for Amazon Echo devices. Once your smart thermostat is connected with voice to Amazon Alexa you can then control your smart thermostat by talking to Amazon Alexa. The best value Amazon Echo device that works with smart thermostats is the Amazon Echo Dot. My favorite Amazon Echo device is the Amazon Echo Show with it’s 10” screen. Install and set up your Amazon Echo Device if you have not already. With the skills button open you can now search for the skill you are looking for. Enter “Nest Thermostat” or “Ecobee” into skill search bar. Once you find the skill you are looking for click enable. With the skill enabled now enter your login information. After you go through the setup process the skill will ask you if you want to discover devices or start discovering the devices you added. Related Post: Does the Nest thermostat work with Alexa? The nest generation 3 has flawless design that looks beautiful in any room. With over 6 colors to choose from you will find the right thermostat color to fit any design. Packed behind it’s beautiful shell are the brains that make it smart and help you save energy and live comfortably. It’s beautiful design makes it akin to the sleek designs of apple. Which makes sense since Tony Fadell the founder of Nest was the genius behind the iPod and first generation iPhone. With the nest smart thermostat you can control your thermostat from your phone and it’s packed with a motion sensor and auto scheduling technology to help you save energy. 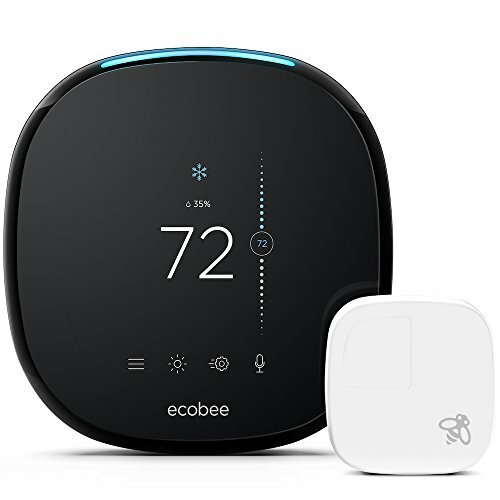 If you want room temperature sensor control like the Ecobee 4 thermostat you will need to purchase a separate temperature sensor and connect it to the nest thermostat. The Ecobee 4 smart thermostat almost all of the same features of the nest thermostat and then a few extra. The Ecobee 4 has Amazon Alexa built in meaning that you don’t even need to have another Alexa device to control your thermostat with voice, you can just talk directly to your smart thermostat for full voice control. The Ecobee 4 smart thermostat also includes one remote room temperature sensor so you can monitor and control the temperature in a specific room in your house. You get a lot of value in one package with the Ecobee 4 thermostat. Does Google Home work with the nest thermostat?